Ransom Rigg's, author of the Miss Peregrine's Home for Peculiar Children books, is headed out on a 5-city LIBRARY OF SOULS #STAYPECULIAR TOUR. He'll be visiting NYC, Houston, Chicago, Atlanta, and Los Angeles. Each event will have surprises and awesome guests. Since Ransom's only visiting 5 cities, Quirk is running a sweepstakes for a chance to win a VIP trip to see Ransom at one of his tour cities! 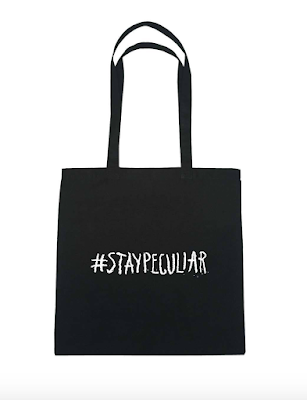 It's an easy sweepstakes to enter, peculiarize yourself, post it on Instagram, Twitter, etc with #staypeculiar, and share your link with Quirk at www.quirkbooks.com/los. 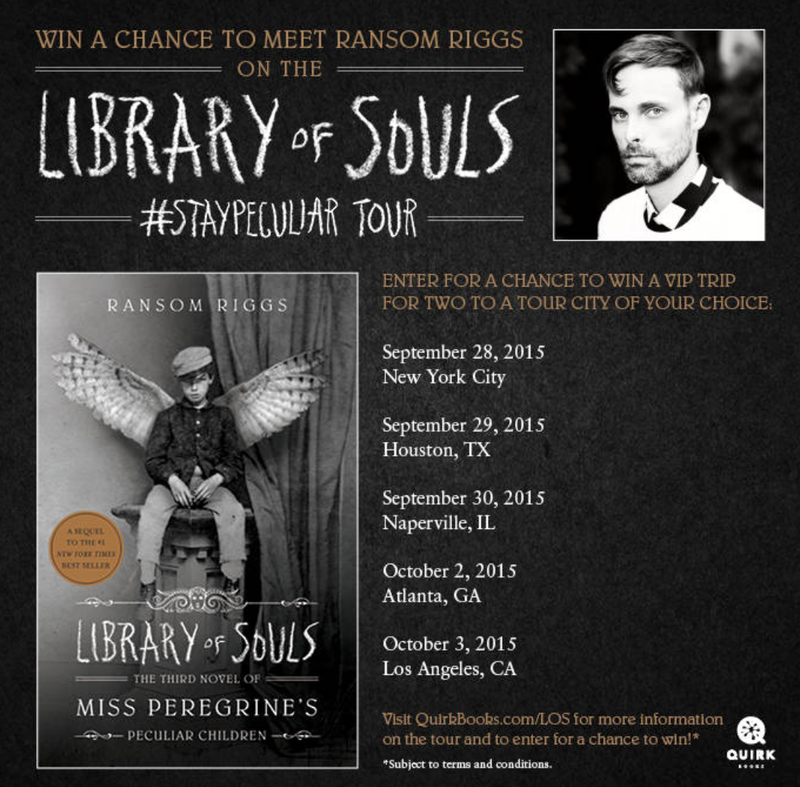 To help celebrate Ransom's Library of Souls #StayPeculiar Tour Quirk is letting The Literary Files host a giveaway! 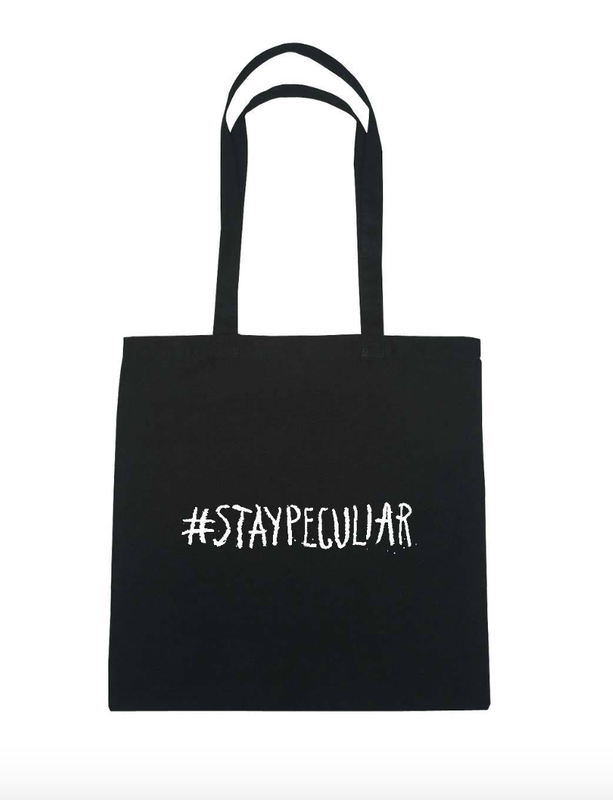 For a chance to win this seriously awesome #StayPeculiar tote bag all you have to do is leave a comment with your email below. The winner will be randomly chosen and announced on Monday August 17, 2015. The epic conclusion to the best-selling series! I wish I could catch up on the tour. Love the tote. Thanks so much for entering the giveaway! Thanks so, so much for the giveaway!! I LOVE this series! Thanks for hosting the giveaway! 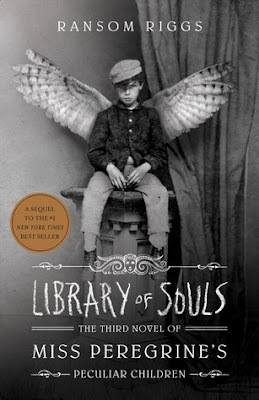 I'm currently reading the first book and I can tell it's going to be one of my favorites! Can't wait for the movie too!!!!! !